Do we REALLY need citations these days? Back in the heydays of my career I knew the content of a few hundred scientific papers by heart in the field I worked in and I had a passing knowledge of several hundred more. When I wrote an paper, I could make arguments and cite on the fly which paper covered the statement I just made. This made it really easy to write introductions [section 1] and “experimental descriptions” [section 2] (in my case coding) (in science that’s nearly the only place that abounds in citations seeing that the rest of the article will be original research [section 3] and the conclusion [section 4]). Of course, in science and academia as a whole, citations act as the social currency. The idea is that the more citations you have, the better your work is. It’s kinda like thinking that the best literature can be found on the NY Times bestseller list. It’s far from perfect, but it’s what we have. Citations are also helpful for complete beginners so they can look things up. However, once one knows the material, one no longer looks up citations. Also, while it was once very difficult to find a relevant article on, say, X-ray scattering in thin plasmas or whatever, search engines and online archives has made this a lot easier. Hence, even from the perspective of someone who doesn’t know anything about the field (e.g. first year grad students), citations are no longer as useful as they once were. However, traditions die hard. Why do people still listen to lectures when the original reason for their creation was that students could take notes on their own because it would be too expensive to print books and copy machines hadn’t been invented? We’re talking a tradition that’s outdated by several hundred years. Why do people still go to conferences to disseminate new research despite the existence of web technology that could broadcast new research instantly? Tradition! It’s because people in academia get promoted based on how many talks they’ve given and how many papers, they’ve published; not the popularity of their website. Now that I’m retired from physics, I don’t bother with citations any more. I feel that in this day and age, statements are extremely easy to verify. I don’t see the point of citing a source if I, for example, say that unemployment numbers in the US were 9.1% in August 2011. It is so easy to look such factoids up on the internet compared to the old days where a statement like that would have been a nightmare to verify. Furthermore, being an independent writer whose success doesn’t depend on the number of citations I collect, I don’t see the point in mutual back patting and citing people to connect my work to theirs hoping they will do the same(*). Also, very importantly, since I don’t write “review articles” of the type “He said this, but she said that”, which I believe constitutes the very foundation of research in the humanities (*zing*) but rather present ideas that are original, or perhaps more accurately an original mix or rather well-known ideas, I just don’t see the point. (*) Uh, blogging is actually often like that. Ack! Writing a piece with citations in it for the first time is a lot of work. It requires keeping track of two pieces of information: What was said and whoever said it. Write a piece without citations and you only have to remember what was said. If you get in the habit of the latter, you can now remember and control twice as many facts! This is a huge boon to a generalist. It’s much easier to keep track of things in a narrow fields. Many authors will write multiple papers and one develops a deep familiarity with present and former colleagues and their writing. When writing about interdisciplinary things, the problem is that one only has a shallow understanding of what is a vast area of knowledge(**). I could draw a curve here, but hopefully you see what I mean. Dealing in citations and references reduces the efficiency and one’s ability to make connections between facts (because there are fewer of them). You can think of it like this. Suppose I have 20 memory cells. Between those cells I can make 20×20 = 400 different connections. Out of those 400 connections, maybe 5% are relevant, thus I get 20 “good ideas”. (**) I have written close to 900 blog posts on ERE. I definitely do not remember all of them! There may be some kind of equivalent principle to Dunbar’s number operating here. However, suppose I use my 20 cells to store 10 pieces of information and 10 citations. I can now make 10×10=100 connections. Supposing 5% are relevant, that gives me 5 “good ideas”. I just dropped my effectiveness by a factor four! This is the main reason I don’t bother with remembering exactly who said what and where. On a general note, this is important if you try to support a social network like academia or a high school clique. It is not important to me. Of course, one could have a computerized database to keep the citations. It is grunt work to maintain such a database and thus it only works in a specialized field where one can indeed read everything. In conclusion, there’s a reason there are no citations in the ERE book. There won’t be any in the INV book either. It is presumed that statements can simply be verified by googling them. Of course that’s not to say that I don’t acknowledge that “I stand on the shoulders of giants”. This is why I favor rather large bibliographies. I just don’t bother to connect every piece of information with that bibliography. I’ll leave that for someone else to do if they’re so inclined. It has no value to me. 34 users responded in " Do we REALLY need citations these days? " Memory does not work that way. One of the interesting characteristics of human memory is that the more you use it, the better it gets. The less you use it, the worse it gets. @Howard – Obviously memory doesn’t work exactly in the mathematical sense described here. However, there’s still a loss if some attention must be directed towards [Author name, year]. One reason for citations is that a cite-checker can go and verify the accuracy of the statements. You could also use a fact-checker, who would have to put more effort into it. I’m sure your memory is very good, but do you double check all your facts before publication? Everyone has at least a few misconceptions or misrecollections (or even typos) once in a while. For example, I’m having a hard time verifying that “the original reason for [lectures] was that students could take notes on their own because it would be too expensive to print books”. For scientific rigor, shouldn’t you have a chain of authority? I mean, I can Google many facts that are not true. Have you ever perused Yahoo answers? One time, someone posted false information on Wikipedia, which was later repeated in a newspaper, and the newspaper was cited in the original Wikipedia article (citation needed?). For papers, you don’t need to memorize the “who said it” part. As long as you go back after writing and do the verification part (which you said was easy), why not just put in the cites while you are verifying? It is quite depressing to learn how often this is also the case for peer-reviewed scientific literature. I should have mentioned this in the post above as well. This is an example of a circular citation. Another common problem is “someone publishes a paper1 with a hypothesis X, paper1 is cited in paper2, paper3 now cites paper2 as X being an established fact”. A third problem is when someone tries to get a paper out fact an cites the technical details as “myself, to be published”. This tbp paper then never gets published. A fourth problem is when someone publishes a poor result or code which admittedly was the best at the time. This paper, being the first, is now cited and used in dozens of other projects. In a later paper, the original authors of the first code now claim it has been verified and validated because it has been cited in dozens of papers. Citations were a huge benefit to me over this past summer, as I went out to learn general electromagnetics and some specific parts related to permittivity. The citations in papers allowed me to easily build a tree of idea development and to very easily trace sources directly related to what I was doing (instead of sifting through possibly tangentially related search engine results). I also do think there’s some value in forcing authors to consistently demonstrate a working knowledge of the field. Lists of *relevant* citations provide quick feedback to the reader that the author knows what he/she is talking about, without having to go through the rigor of searching the person’s work. Lots of these things are more relevant for learning a new field — of course when you already know a topic, you won’t need this sort of information. But, long after you’re gone, it’s nice for future researchers to have an easy to parse record of how ideas were developed over time. It’s probably also field-specific. I’m in applied math, and so I’m often trying to connect together ideas from engineering/physics/biology with the mathematics. Maybe another way of making your argument is to make an analogy with things in math like the quadratic formula, or solving basic differential equations. At my point, we all take those things for granted and so we don’t have to cite them. I could see the same being the case for, say, string theorists who are so far down their rabbit hole that much of the background is just assumed to be well-known. @zrk – I used the tree approach myself. This is how I know about the problems I described in my reply to dragoncar. I actually read all the articles and collected pdfs on a CD (I’m old). I’ve also noticed that not everybody does that. There’s an old paper by Zwicky on neutron stars which must have gotten misquoted (they got the volume number wrong) by some famous paper. Many modern papers now have the identical wrong volume number thus indicating that they’re just copying someone else’s citations. The method I prefer (and have always preferred but can’t really use for scientific publications) is to make all arguments ab initio. If conclusions can be demonstrated using commonly accepted facts, there’s really no need to start in the middle and base the first steps on citation. The role of citations varies quite a bit depending on your profession. I’m familiar with the problem of circularity that Jacob remarked on from reviews of scientific literature cited by defense experts and used forensically in court. @dragoncar is probably coming at this from the perspective of a lawyer. In our work, the authoratative interpretation of a legal issue is not our own but that of an appellate judge memorialized in a published case, which must be cited to rely upon its value as binding precedent. Uncited arguments may be persuasive, but trial court judges hate getting reversed; so they insist on citations. The habit is an ingrained aspect of thinking like a lawyer and, in my case, permeates my approach to any non-fiction liturature. I simply don’t give as much credibility to unfootnoted assertions of fact as I do to those that provide me with a source that I can (but won’t necessarily) consult to see if the work underlying that assertion justifies it. But much of Jacob’s writing on ERE issues is of a more philosophical sort, where the importance is more on the questions being raised than on the definitiveness of the facts being asserted. I don’t mind the lack of citations in such cases, and I don’t hold it against an author who omits them. I would argue that citations are an essential part of any academic discipline. Without them, how can a paper or book be critically analysied ? Unemployment statistics, for example, are not indisputable facts but will vary according to the research methodology employed and the source used. The figure I quote needs to be cited. Without it, it just becomes journalism. @chenda – Facts can be checked against reality. If the academic discipline doesn’t deal with reality, citations are needed, in particular of the academic discipline mainly deals with citations, i.e., writing reviews of each others reviews. Yet, if the academic discipline deals with reality, one could (and actually should) set up one’s own experiment to verify the claim instead of relying on a citation. I suspect each discipline has its own attitude towards citations. For example, when I (ex-physicist) see citations rather than explicit arguments I can easily get the impression that the author doesn’t know what he’s talking about and just relies on second-hand knowledge. In other words, I put very little credibility into citations and merely use them as a suggesting as to where to read more. Sounds like citations are the video camera on the cash drawer of the ivory tower. Not enough to keep a truly determined person from cheating, but a deterrent to the rest. @hickchick – More like the multiple choice test at the end of an employee training course. Which class of fire extinguisher must be used on an electric fire? A, B, C, D? Similarly, which authors must be mentioned in a sentence stating a fact about … these guys, these guys, or these guys? Minor correction: if you have 20 brain cells you only have 190 unique connections, not 400. Cell1 connects to cell2, but then you don’t get to count cell2 back to cell1. Also, cell2 can’t connect with cell2. @tjt – Why not, you nit picker you? Why not let a cell operate on itself, e.g. A(A).neq.A. Also A(B).neq.B(A). To write it out, suppose that A(B) is the function that checks if A>B. Then A(B) is not the same as B(A). Without loss of generality, you could also have a function where A(A) is not the same as A, e.g. a logical XOR. @chenda stated >> Unemployment statistics, for example, are not indisputable facts but will vary according to the research methodology employed and the source used. @Jacob replied >> Facts can be checked against reality. The problem becomes whose reality? The blue-collar guy who’s been without a job for two years or the DOL statitician who’s reporting the monthly figures. Offical unemployment statistics are by definition exclusive of those who’ve dropped off the labor rolls prior to the 12 months reporting period (the so-called “discouraged worker” see http://en.wikipedia.org/wiki/Discouraged_workers). The definition of unemployment may or may not include underemployment, where those seeking full-time work are able to obtain only part-time. 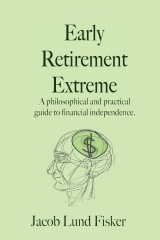 As the debate about the definition of “retirement” here at ERE exposed, foundational terms are critical to the meaning of any asserted fact based on those definitions. That is why the source is so important and why professional jargon is so persistent. @Maus – NoMoPoMo. I think if the definition matters, one is probably reaching in terms of conclusions anyway. So if the argument is one that says that unemployment dropped by 0.1% from 9.1% to 9.0%, then the methodology matters(*). If the argument is that unemployment is historically high at 9.1% then it does not matter. Another method may say it’s 7.8% and that would still be high. (*) However, I question the value of a statement like than when other employment numbers say 7.8%. Overall, it depends on how precise you want an argument to be. From my perspective, the greater the precision required, the more the author takes over the job of thinking for the reader. I often make things intentionally vague so the reader is forced to do at least some thinking. The woodworking books of Roy Underhill does the same. He never gives exact measures which forces the builder to “work a little” when building his own project. I find I learn a lot more from authors who do this and so I try to emulate them. Now my question to you is … maybe some intentional vagueness might be helpful in a common law system … it would allow for more judgment on the part of the judges. Law is after all a technology intended to assist in guiding people’s behavior. It is not an end in itself. In practice, the vagueness is built into the common law system because no prior case is absolutely on point WRT the disputed issue in the vast majority of cases in current litigation. The whole art of lawyering can be boiled down to the operations of analogy and distinction: explaining how Case 1 is different on grounds a, b & c, and thus inapplicable; whislt Case 2 is similar on grounds x, y & z, and thus controlling. Theoretically, the side that does this most persuasively wins. In actuality, the side that understands best how the trial judge thinks wins. Logic is a necessary but not sufficient cause of victory. By using the date of publications, as well as the authors and publication the articles were published in, citations can be used to see if an author has covered the subject in sufficient depth in time, views, subject breadth. @et – Only approximately. Quantity does not equal quality. It was when I learned about the various tricks used to manipulate those numbers as a postdoc that I pretty much decided that I didn’t want a career in academia. We had a nice scandal here in Germany some months ago when it became known that our secretary of defence had written his doctorate thesis mostly by just copying and pasting. He said he had just forgotten to citate. I guess this reinforces my point that the critical thinking skills of the reader are way more important than the citations of the author. So which is better? Citations or memory? I have no problem looking these things up in a library and on the web, but there is so much irrelevant crap coming up. I would like a cited source so that I can evaluate the concept further. I see citations more of a service to the reader and as pointers on how to delve further into a subject. I completely disagree. Citations should be used where applicable. There is too much garbage out there touted as truth for citations to be considered irrelevant. This might be the first time I don’t entirely follow your logic Jacob. I would suggest we need citations more now than ever. I prefer listening to lectures because I am an auditory learner. Taking notes helps retention. If I just read a book, I miss a lot of stuff. Plus, you can’t raise your hand in the middle of a paragraph and ask the book for clarification. Web of goals – Sorry, my idea, not aware of anyone else having had the same idea or at least written something about it. NAV – See Cap rate, http://en.wikipedia.org/wiki/Capitalization_rate, and realize that real estate is financed with mortgage bonds that trade 1-2% above the 30 year treasury bond rate. Insert typical tax and maintenance costs which are 30% of the rent. Then calculate backwards. As Jacob points out, citations aren’t quite the “holy grail” of facts as they’re made to be. I’ve seen several cases in academia/industry, where people sharing similar “cliques” group together, target a famous conference, and form what is known as “special session”/(SIG) and get their views published (two or three such conferences, and then club the results for a similar big name journal…, four journals, then you have a monograph…etc.). Then it is a case of what Jacob said in the comments (Death by citations). So, personally I do agree with Jacob that some of these things persist by virtue of their tradition. P.P.S: So, where did you read about “homeoletic”? Citations, please. 😉 :-D! Once you spread your world view beyond, towards a World that lies outside of the United States, you will get all the citations you need for that. If exorbitant textbook prices are ridiculous in the States, it is criminal in India…. There’s even a few startups exploiting these ground realities…. 2. Adspace on photocopies of notes…. I am pretty sure the situation is the same in several other places around the World too. IMO, Jacob really got the pulse of this right in a very world-wide way. As an aside, there’s also a similar case with the Lions book where the notes were the only way true knowledge could be spread….. Wait a minute, this comment is probably more appropriate in the Gresham’s Law post? @jacob Thanks for the references. For the record, I found nothing on the web of goals myself. For Maximum Power I found the same references, and for NAV I did not have the idea to look at the capitalization rate. Had I known more about the subjects, it would have been easier for me to evaluate what I find through a web search. But not knowing a lot requires building up you own mental model. This may be better than using (trusted) citations, but it also takes a lot more time and effort. On a related subject, I tried to find a good book about finance and econometrics. There are hundreds out there, and I think probably a lot of good ones. However finding one which teaches you finance relevant to ERE is completely different to finding one which does a good job for your university diploma. In that sense, maybe citations are not needed, but you need footnotes with pointers to further reading. Otherwise your readers just have to believe you, or start an effort to find out themselves. But starting the effort may (is) not worthwhile always. The links themselves also show how your interpretation is on the subjects. Citations are essential for quickly tracking down where a specific fact is first stated (or first proven). I’m not going to Google every fact to check it. It’s also (perhaps more in artistic rather than scientific subjects) essential to give credit to the originator of a theory, on which you are basing further conclusions. It’s a bit like showing your working! @simplex – Hence the bibliography in the book.